02 JANUARY 2013, NATIONWIDE, U.S.A.
GoFightForeclosure.com today announced that homeowners should make early challenge to foreclosure a New Year priority. Citing that early challenge to foreclosure is critical and could help to force the lender demanding foreclosure into settlement workout solutions. According to Kyle Ransom, creator of the Go Fight Foreclosure System 2.0 he believes those homeowners who challenge enforceable security interest early have better odds at preventing their foreclosures. Ransom is a former licensed mortgage broker with over 16 years of experience in the mortgage financial industry. He stresses that early challenge to foreclosure can reveal important discovery details concerning errors with the loan documents. “The stage that a homeowner challenges foreclosure is a best defense especially when improper mortgage securitization fraud is involved. Many times homeowners don’t discover problems with the loan until after the foreclosure has already taken place,” stated Kyle Ransom. Continuing Ransom says that often there are problems with the Assignment transfer of the mortgage loan note. He reveals often the Assignment transfer will be fraudulently conducted while the original lender is no longer in business or even under Cease and Desist Order. However, Ransom discloses because these facts are never challenged early the wrongful foreclosure happens. Ransom informs that the Go Fight Foreclosure System 2.0 presents a step-by-step guide for homeowners to learn how-to challenge foreclosure. Expressing that key elements of the system is to offer foreclosure prevention techniques and training skills to identify mortgage securitization fraud in the chain of title. He feels that homeowners are paying securitization auditors that are not providing specific Wrongful Foreclosure Detailing that would be a good foreclosure defense for the homeowner. Stressing now that everyone better understands the foreclosure process homeowners must learn how to detail specific foreclosure errors related to their personal circumstances. He expresses courts are demanding detailing for personal wrongful foreclosure injury defenses over why Mortgage Electronic Registration Systems, Inc registry is flawed. He reflects that the new Go Fight Foreclosure System 2.0 focuses on detecting improper mortgage securitization flaws to help the homeowner build a specific foreclosure defense. Ransom says being able to contact the lender and pointing out specific details about their personal foreclosure that is wrongful is an advantage. Often leading to a workout settlement that is approved which is ideal when the homeowner does not qualify for a standard loan modification. 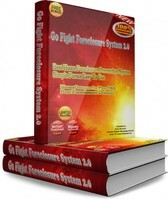 For immediate enrollment start training with the Go Fight Foreclosure System 2.0 today available at http://GoFightForeclosure.com .